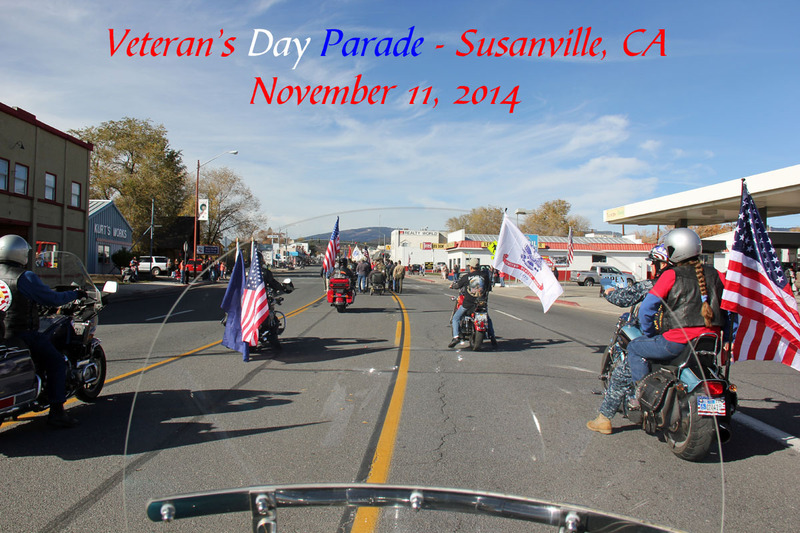 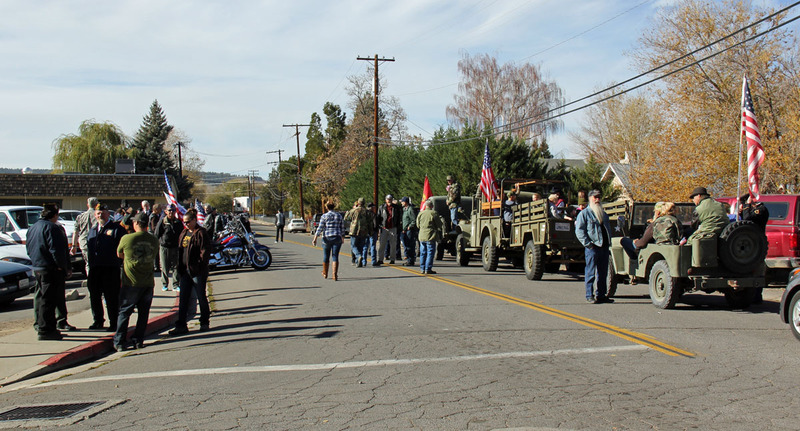 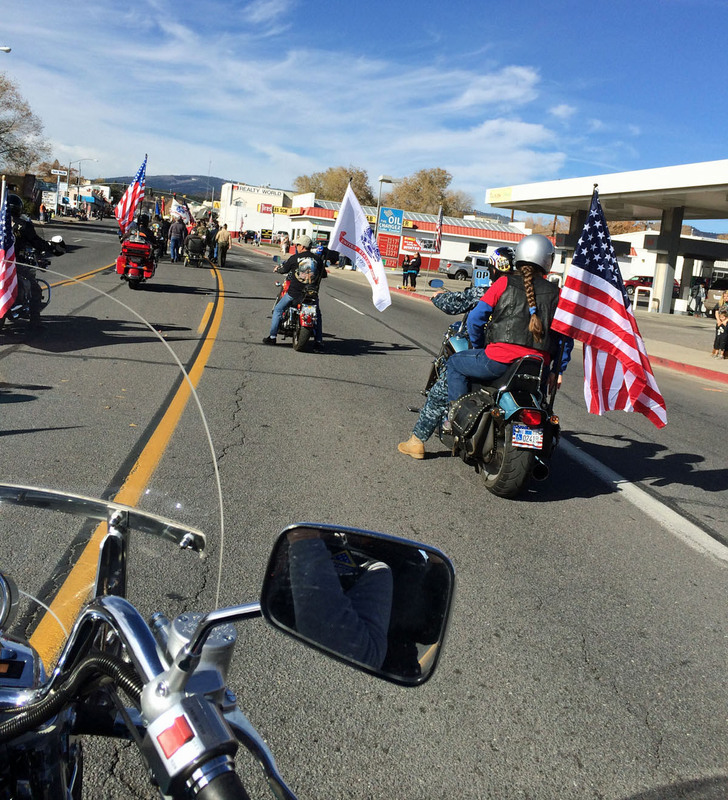 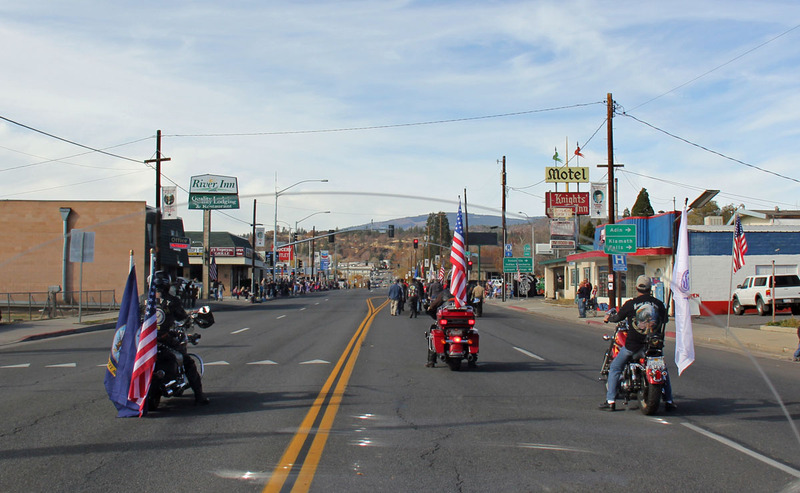 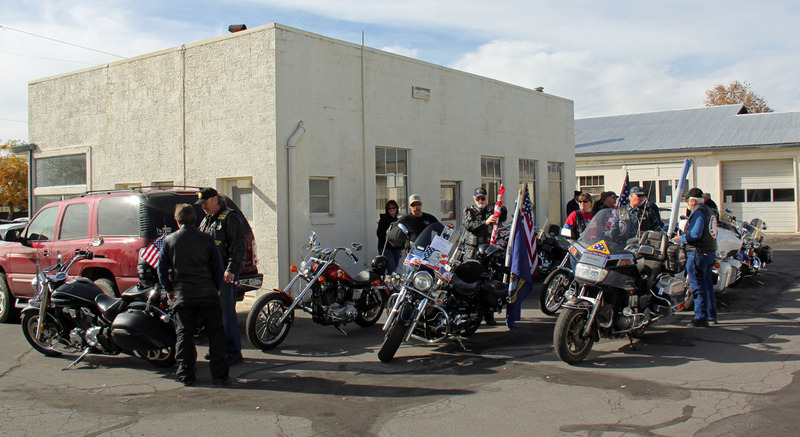 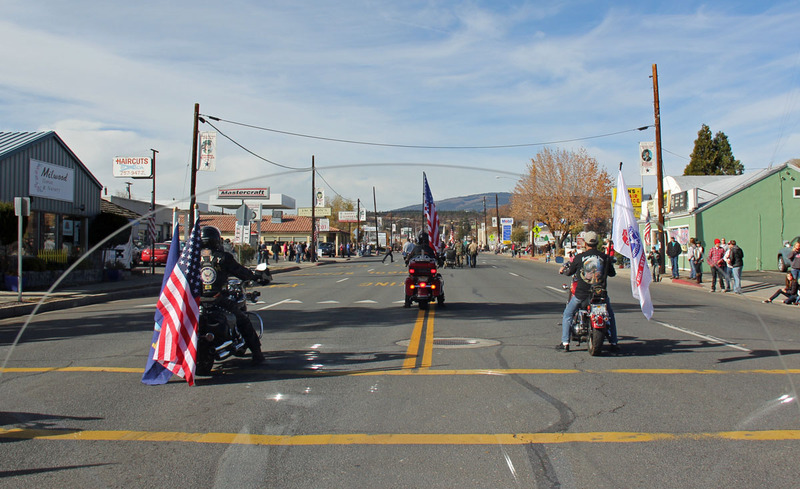 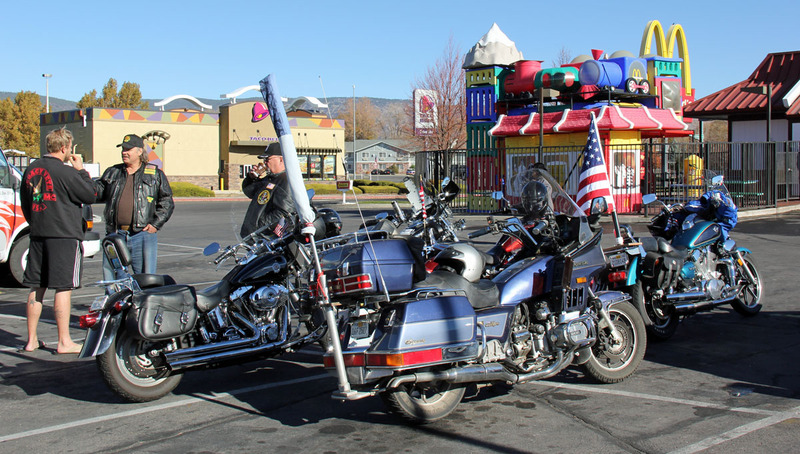 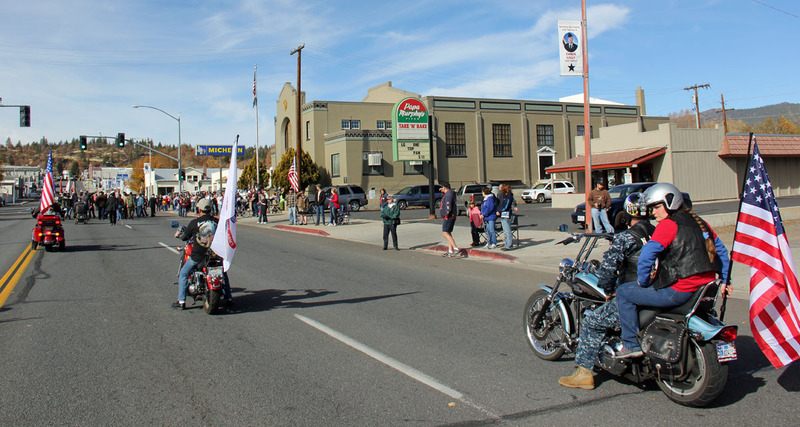 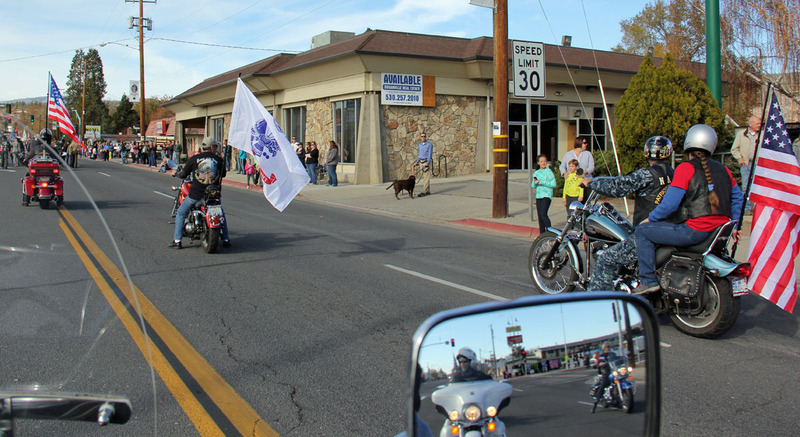 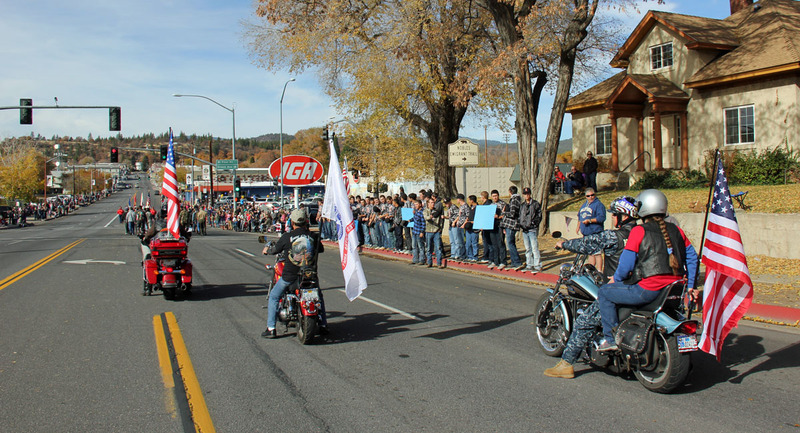 The Patriot Guard Riders having been requested to participate in the annual Veterans Day Parade in Susanville on Tuesday, November 11th, 2014 at 1100hrs. 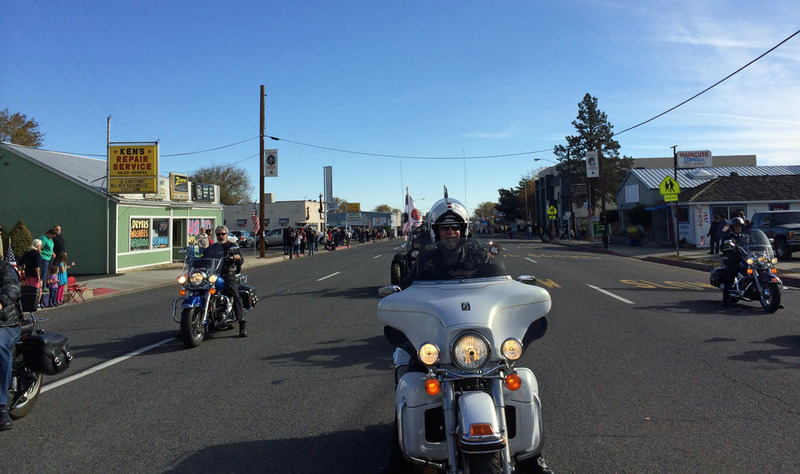 On a beautiful sunny Fall day with temperatures in the mid 50s, a total of 16 PGR participants and 14 motors met at the intersection of Fair Drive and Russell Ave at 1015hrs. 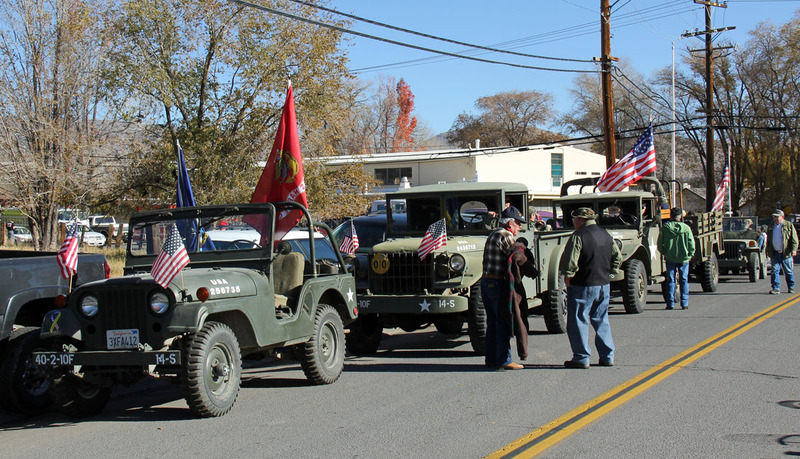 The Parade was a great Tribute and Honor to ALL Veteran's from past, present and future. 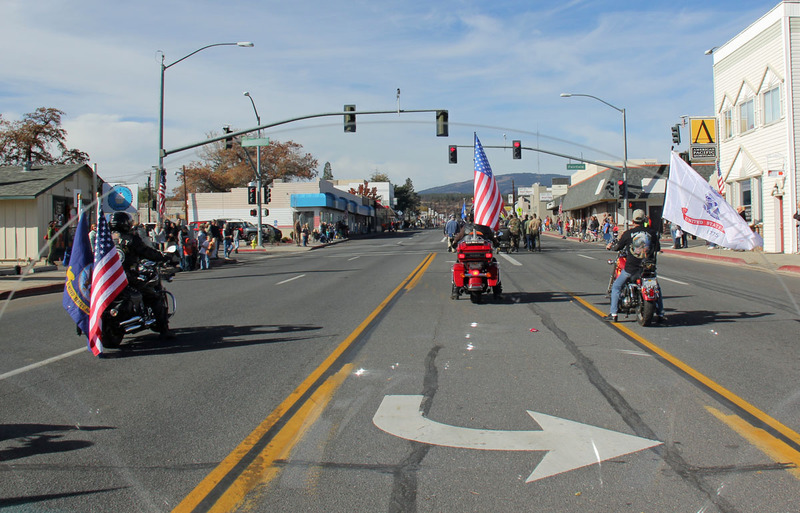 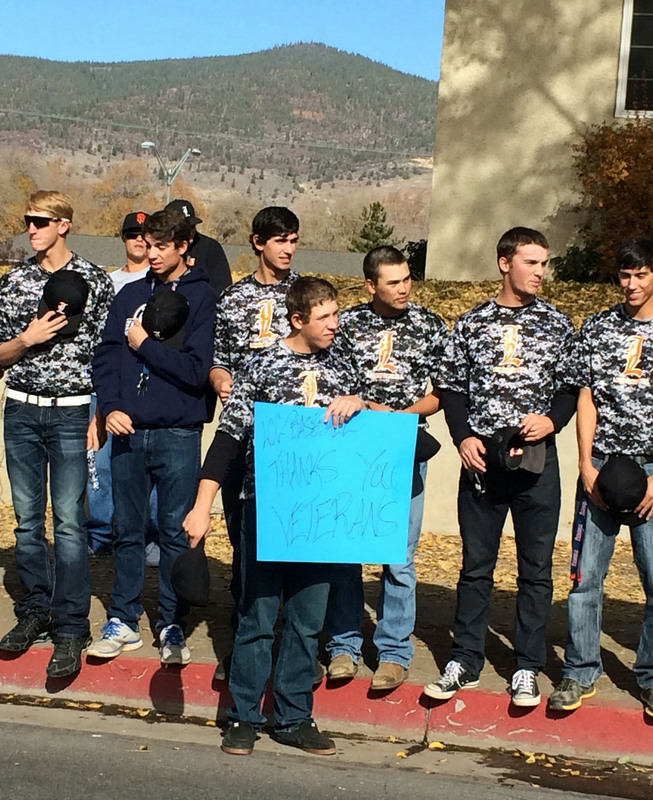 The Susanville community were lined on the Main street in celebration also. 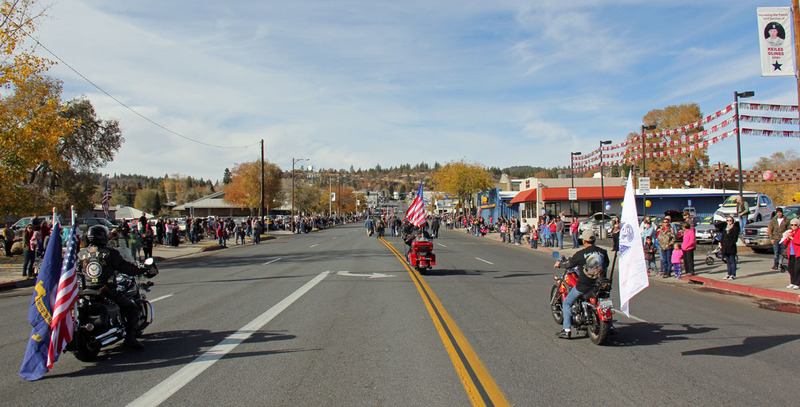 The eleventh hour, on the eleventh day of the eleventh month... That is the time we stop to honor and give thanks to the brave men and women who have served to protect our country and our freedom. 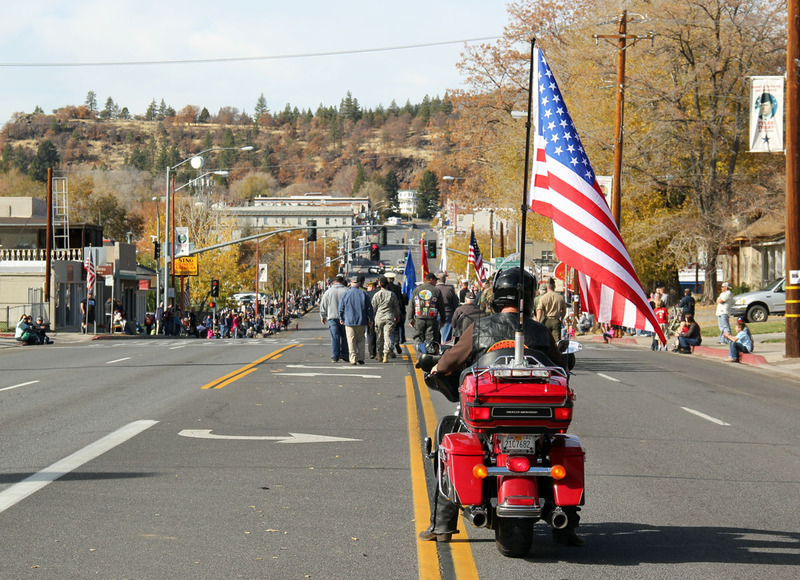 Veteran's Day is an opportunity to salute our military heroes. 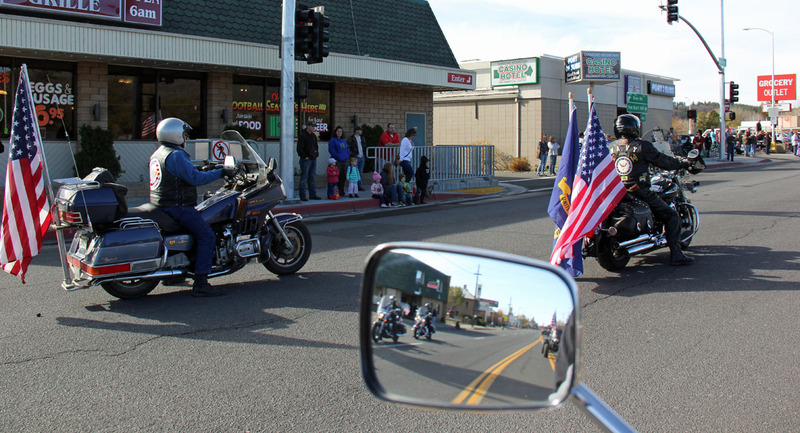 It is a special day when we step out of the whirlwind of our daily lives and take time to thank those who have united in an effort to protect our most sacred freedoms. 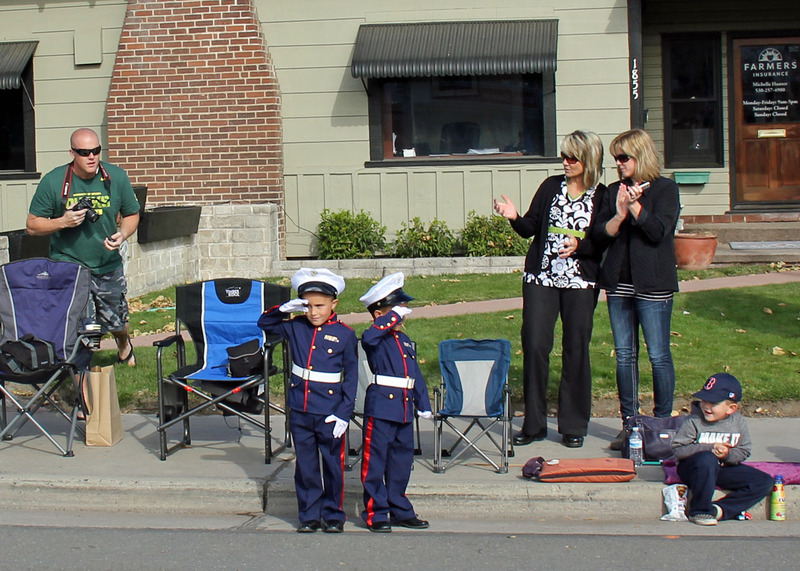 We believe our courageous men and women deserve our gratitude each and every day. 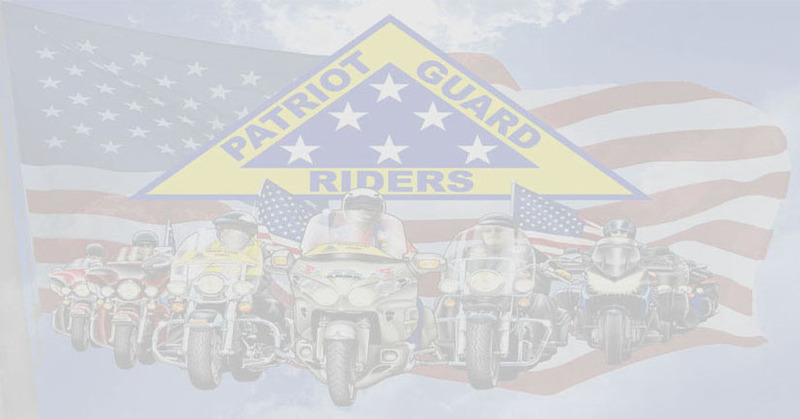 It is the patriotic pride and belief in the founding principles of the U.S. Constitution that drive us beyond all fear and unite us as a country. 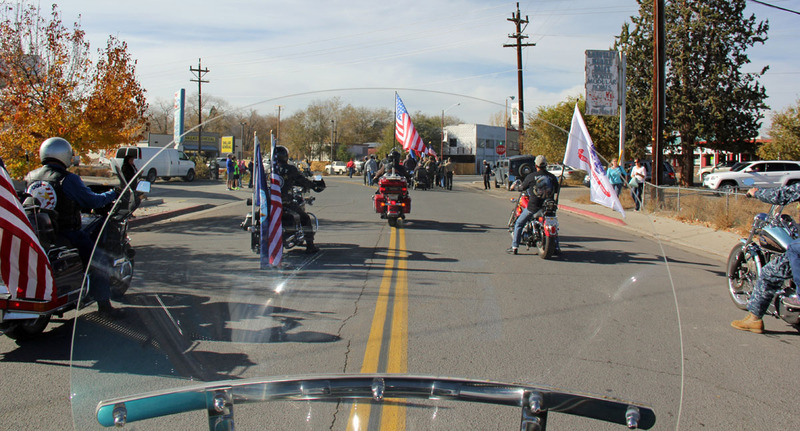 Even when public attention loses focus, we must never forget the men and women who continue to put their relationships on hold and their lives in jeopardy to protect America's sacred pledge of freedom and democracy. 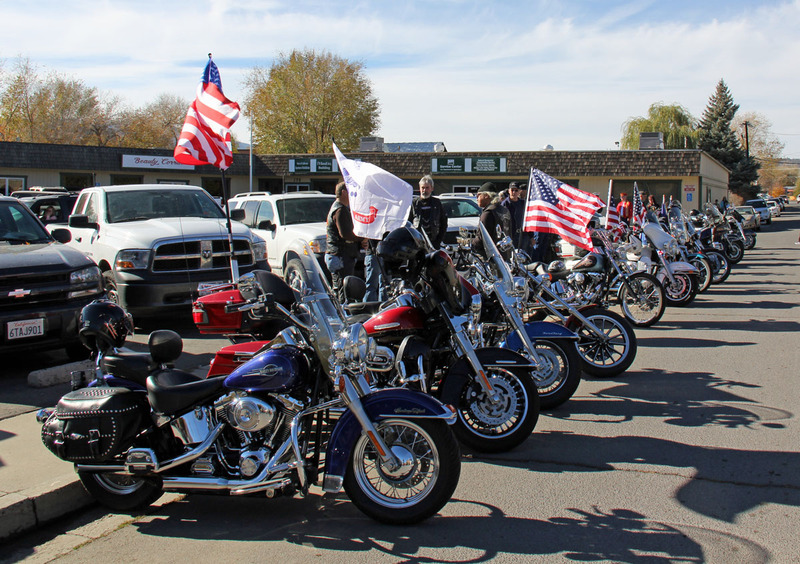 It remains our vow to never forget.